I'm really looking forward to this game, as it is created by the same team of Hidden & Dangerous 2, Illusion Softworks. Readable newspapers to learn about recent news between 1945 and the early '50s. A completely open-ended game map of 10 square miles. No restrictions are included from the start of the game. Cars will play a central role, based on models of the time, and changing with the era. Laws, including traffic, must be obeyed, but the police interaction will be toned down compared to the original. Although fictional, Empire City will feature familiar sights such as the Brooklyn Bridge and the Empire State Building. The player can get "very high" in the city, adding a possible vertical element. The player will be able to buy a home where they can store gear and use as a home base. Restaurants will be accessible to buy food and drinks to increase health. Stolen cars can now be upgraded at the "Empire Automobile Shop"; engines can be replaced, cars can be resprayed, and interior can be refitted, to name a few. Things such as sink faucets, switches, bottles, and chairs will all be interactive, as well as radios that the player can turn on to hear a few licensed period tunes. Cars can suffer panel damage, get dirty and explode. They can also run out of fuel. NPCs will smoke, read newspapers, and wait for buses, while homeless people search through nearby garbage bins. Interacting with objects in the environment involves two action buttons- a standard and a "violent" option- used in context-sensitive situations. A map will be included as in the original, to simplify navigation. The checkpoint system has been completely overhauled. Gyms will be accessible to unlock new combos and fighting styles. As seen in screenshots, Vito will be able to hail taxi cabs and they will take him wherever he wants. Trunks can open, and weapons and bodies may be stashed there. The player will own their own car that can even be customized with a personal license plate. Mafia I was, and a lot of people still play it, so i cannot think what II can do.. If everything that SizSkiizd listed does actually make it into the final game then yes, it will be a much better game than GTA IV - plus you get all those old cars to drive around in lol I want that pickup (in the taxi pic) and then customise it. I hope that when the official Mafia II comes out they will add the original Fiat 500. VanMan629 wrote I hope that when the official Mafia II comes out they will add the original Fiat 500. It's doubtful, given that the game is set in the United States and that is a model very seldom seen here. Prior to the 1958 recession, most European cars did not sell well in the U.S., as most of them were considered unfit for U.S. driving habits. The exceptions were the Volkswagen sedan (Beetle), and a few sports and luxury models such as MG, Jaguar, Rolls Royce, and Mercedes-Benz. However, I'm sure the PC port of this game will be open to modelers from all over the world, and I'm sure cars like the Fiat 500 will be added. Not to mention more anachronistic cars such as the Nissan Skyline (it seems like every game HAS to have one). A Couple Cars Not Listed Up There That I Saw In The Trailer. Like Theres A 58 Ford T-Bird, And I Forget The Others, But Check Out The Trailer. Well, at least that extra time will be compensated with the final game´s quality. From what I've seen it's going to be really good, I just hope that they don't even go near doing that gray dish water GTA 4 thing. Thanks Neon. Anyone have anything to argue over In the new pictures I posted? Looks like a pretty sweet game, and one of the most realistic open world games to date it also seems. Any solid release date? CarlsonsRaiders wrote Looks like a pretty sweet game, and one of the most realistic open world games to date it also seems. Any solid release date? Yeah, It has a release. August 24th for North America, 27th for International sales. Does it matter, whren they got the 1956? SizSkiizd wrote I'm really looking forward to this game, as it is created by the same team of Hidden & Dangerous 2, Illusion Softworks. is this going to have ''RAGE'' ? I see a Citroen DS and a 50's Ford concept on the demo, the DS is very great fort this game ! Geoman wrote is this going to have ''RAGE'' ? 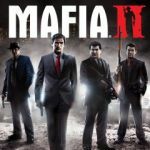 No, Mafia 2'll get its own engine, the Illusion Engine. Already got the demo...wonderful game! can I have the downlaod link pls? I played the demo last night. It's awesome! the amount of detail spent in such simple things like getting a beer from the fridge are so incredibly well made..! Heyyy can someone play the demo, record it, youtube it, then post a link, I WANT TO SEE!!!! Sure, i'll try... Do you want to see only the demo or the overall gameplay, EG buying clothes, recainting/washing your car, etc? Yes me too, extremely realist and amazing ! im pressed to buy the 27th august ! wow, how come the rating is so low 6.5?! Someone has taken notice and (is) changed (changing) the french names. Thanks! I think we need to implement a system that doesn't display game scores for titles not yet released. Star Wars Fanatic wrote I think we need to implement a system that doesn't display game scores for titles not yet released. Come to think of it, why do users rated the game when it's not even released? Can anyone tell me how to change a name of a vehicle? The Chevy pickup hasn't got it's ( "original") in-game name yet, while i've posted it a few days ago... Can I do this myself? I just added the Citroen DS and Lincoln Futura Concept from the Vegas DLC, and the Willys MB from the War DLC. Other cars in DLC packs are a (I think) Willy's CJ, the Ferrari as shown above and a 30's Cadillac V16 style big-*ss saloon. Can't wait! Synobis wrote Heyyy can someone play the demo, record it, youtube it, then post a link, I WANT TO SEE!!!! Just bought this game, it is awesome!!!! can I replace all the pics? It seems to be getting mixed reviews across the board. subzero wrote can I replace all the pics? Seriously? you can't free roam in this game? thats a shame. And I doesn't like the ending either! Is this game worth it or should I wait until there are some cheap used copy's available? I hear a lot of not good review which is why I cancelled my preorder. Anymore missing vehicles? If not this game should be complete. You can't use weapons in certain building as opposed in the interior game. Edit:: sorry mistyped "interior game"
I didn´t like the ending as well. Too abrupt. I have à Potomac Indian Custom with a blower, also à ford 37with à blower, you win in after the mission for cigarette. I think is complete at this moment, perhaps more dlc cars coming later. You can download a free roam mod. Go Google it. The Ford model B and the police bus are taken from another website as I don't have it. Anyone have these vehciles are feel free to replace it. The representation of Chevrolet is Shubert or Schubert? Added wrecked Model A and wrecked Master Sedan. SolanaBogon wrote The representation of Chevrolet is Shubert or Schubert? Shubert without a C. In the first Mafia game it was Schubert with a C.
racersg wrote Shubert without a C. In the first Mafia game it was Schubert with a C.
Because in early version game story was suppose to end in 1957. Great game, must say. But still leaking things. I would say it's mediocre game. Summing it up Mafia II is just a shadow of Mafia and if it wasn't for the title game wouldn't sell as half as good. I was extremely dissapointed and sold the game after two playthroughs. 4/10 from me. To sum it up, I give this game a fair 6/10, since it has some improvements from previous game, but can't outrun a lot from it. I've just played the first levels of this game. It's GTA IV in the 50s! There's too many elements in common with both games: Both take place in New York, both have protagonists that come from Europe in a ship, both of them have been in the war, both have to help their families deal with a loan shark, both live on the second floor of an apartment building. And even the HUD in both games looks the same. Well anyways, i hope there will be another Mafia game. I played both, Mafia The city of Lost Heaven and this one. I have to say both are very well made games with potencial, but the second one can't really outrun Mafia 1. 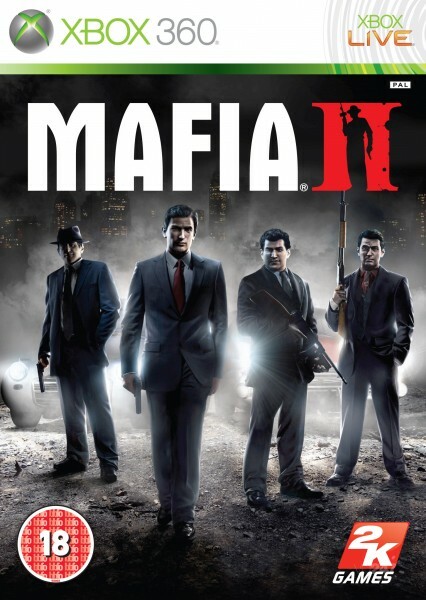 If there will be a Mafia 3, it should be run on the same engine as this one, keep the allready existing elements but still add new things to it. I'm making replacement pictures of damaged cars now. They'll be up later today. I promise they won't be blurry. As I'm updating some of the pictures, I'll give in what I thought of this game. Anyways, I am a major fan of Mafia and this sequel and I really hope that they make just one more game to complete a trilogy. I also thought of a story for the third game but I won't talk much about it, but I would like to see the game set from late 60's to the early 80's. I could try to replace the damaged vehicle pictures. Also, it's not needed to list the billboard of the Beverly either. Are these any good.. luckily I just completed the game, so I was able to take some pics! Why are you constantly giving me grief on what I post? I only thought only the car (and I mean ONLY THE CAR) was in the shot with decent (not best as you want it) quality, it shouldn't be so much of a deal as you make it out to be. I'm tired of your negativity of everything I post. RacingFreak wrote Also, it's not needed to list the billboard of the Beverly either. It's okay for you to post pictures of certain cars (regardless of what role), by not for me. Since when did you think you are a main admin? No, they are not. I always make the cars in my pictures focused on them without an in-game character standing in front of them. In the DLC "Mafia II: Joe's Adventures" there is a Hot Rod version of the Shubert Hearse. It is the car that you have to return without working brakes. Can someone add it?